FIREFLY: BIG DAMN HERO Book Review: Season Two Episode One | Birth.Movies.Death. 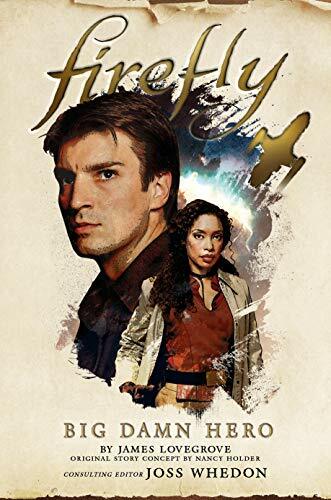 Ah, Firefly: the poster child for franchises ended before their time, perhaps more well-known for its cancellation than the actual contents of its fourteen episodes. This was one of the first shows to gain a cult following through the magic of DVD box sets, and the newfound fandom was rewarded with Serenity, which is still beloved as part of the franchise but is often derided for compressing a season’s worth of plot into two hours, consequentially losing the freewheeling outlaw smarm and charm that drew people to the space rodeo in the first place. Well, fifteen years after the show’s cancellation, with many of the show’s actors and writers having moved on to other projects and Serenity acting as a pretty definitive ending that would exclude fan-favorite characters from any sort of reunion, the prospect of a Firefly revival doesn’t even rise to the level of a pipe dream. However, fans still have hope in the form of a new novel series, the first installment of which is titled Big Damn Hero. And here’s the good news: it’s still the Firefly you know and love. Big Damn Hero feels a whole lot like an adaptation of an unused script treatment from about when Firefly was pulled off the air, right on down to the pacing and structure that could easily have included commercial breaks between chapter-closing stingers and a cliffhanger ending for the middle of a two-parter at about the halfway mark. This lends the book a sense of familiarity very reminiscent of the primetime network space opera, as the first half focuses primarily on the mystery of Captain Malcolm Reynolds’ disappearance while the second half shifts gears to reconstruct a juicy bit of lore surrounding Mal’s origins. It feels right at home within the canon of Firefly, and it should give those craving more from this universe plenty of satisfaction in reading pitch-perfect recreations of the characters they probably won’t see on screen again. Folks are likely to notice and attribute a lot the credit for this consistency to proudly-proclaimed consulting editor Joss Whedon, but credit where credit is due to author James Lovegrove and story concept writer Nancy Holder for making this particular story a reality. And like any episode, you get just enough of each of the nine crewmembers of the Serenity to feel like no one is getting short-shifted, but there are individual characters who shine more than the others, and thankfully it’s a pair who were relatively underserved in their time in the series. Zoë is a strong focus of the first half’s search for Mal, which gives us nice perspective on her and Mal's loyal relationship, and events lead to the investigative role falling in Shepherd Book’s lap, which is a welcome surprise as we catch hints of the backstory even Serenity didn’t do a great job of explaining. Jayne, Wash, Kaylee, Inara, Simon, and River all get their moments to shine as well in mostly supportive capacities that feel nostalgic now but would have been par for the course had this been a filmed episode. In fact, if there’s any major fault with Damn Big Hero, it’s that it probably leans a little too heavily into its nostalgic raison d’etre. There are constant references to the events of Firefly that establish a timeline, placing this story between Firefly and Serenity, but it does so with such vigor that it becomes distracting, like a constant ribbing to the reader to remind them just how much they love this short-lived franchise. It makes some otherwise in-character beats feel like little more than perfunctory fan service, so it would have been nice to let these moments evolve naturally without the reminders of why we’re supposed to care. If you’re reading a Firefly novel, you don’t need any more reminding. Even so, Firefly: Big Damn Hero is basically comfort food for an underfed fandom, leaving them Mal-nourished rather than malnourished. If you’re craving a return to the ‘verse aboard a Firefly-class vessel, this is worth the hours spent in its hold. Leigh Monson is technically a licensed attorney but somehow thinks movies are a lot more fun. 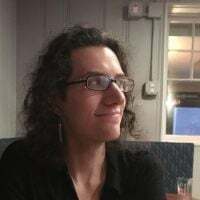 Leigh loves both award darlings and hilariously bad films, does not believe in superhero movie fatigue, and calls it like they see it. No, really. It's still happening. Stop looking at me like that. Can There Be A JUSTICE LEAGUE Director’s Cut? Furthermore, who actually wants one?